Compressors are an essential component of air conditioning units. 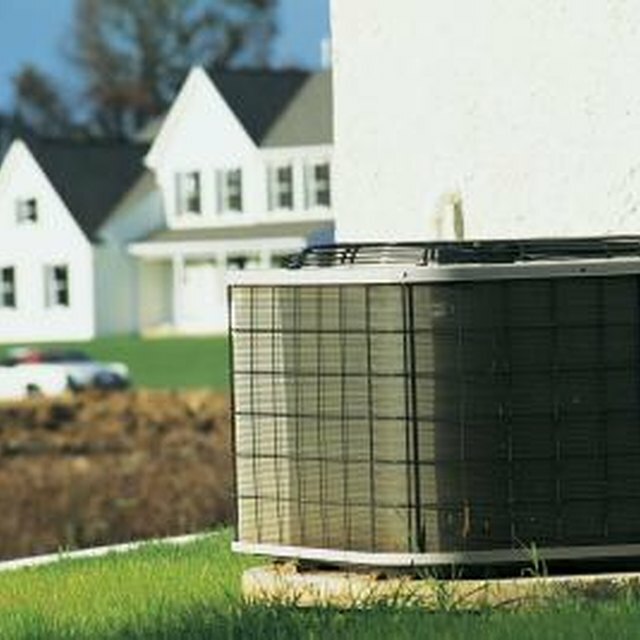 They compress the refrigerant's cold low-pressure gas to hot high-pressure gas before the condenser converts it to a fluid. AC Delco's R4 compressor is common in vehicle air conditioners, including many of GM's cars since 1984. The company markets a standard version and a smaller lightweight model. Besides the weight, the only significant difference between the two versions is that smaller model uses a six-pole electro-magnetic clutch instead of the four-pole clutch on the standard R4 compressor. At 2,000 rpm, both the standard and lightweight models of AC Delco's R4 compressor produce 24,000 BTU per hour, or equivalently about 94 horsepower. Their displacement is 10 cubic inches on both models. The two models show their primary difference when it comes to their weights. While the standard weighs 173 pounds, the lightweight version is 142 pounds. The standard R4 compressor contains 118 parts, while the assembly of the lightweight unit requires one part less. The width and height of of both R4 compressor versions have the same value of 698 inches. The standard R4 is 692 inches long while the lightweight is slightly shorter at 614 inches. The differences in their lengths and weight are mainly due to their different clutches. Note that the clutches and their parts are not interchangeable between the standard and lightweight R4 compressors. AC Delco manufactures over 40 further sub-models of the R4 compressor to fit specific vehicles' needs. Over the years, the company has supplied compressors to the engine-driven air conditioners in Buick, Chevrolet, Oldsmobile, Pontiac, Ford, GMC, American Motors, Cadillac, Mercedes, Saab, Chrysler and Isuzu automobiles. Commonwealth of California: Energyquest - How Does An Air Conditioner Work?